When your fast paced life starts to show on your skin, it’s time to Intervene. Elizabeth Arden’s innovative moisturizer with the benefits of Biodormin™ technology puts a pause on aging signs, to help keep skin at its peak. 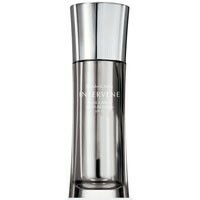 Intervene slows the visible effects of sun, stress and environmental factors to delay the appearance of fine lines and wrinkles and gives skin a noticeably firming boost. Deep hydration restores, replenishes and revitalizes, for younger looking skin. - Visibly slow the effects of accelerated aging on the skin. - Delay the appearance of lines, wrinkles, loss of firmness and tone. - Help minimize imbalances in the skin caused by fluctuating hormonal and protein levels. Water/aqua/eau, c12-15 alkyl benzoate, glycerin, ceteareth-6 olivate, butylene glycol, pentylene glycol, tridecyl salicylate, caprylic/capric triglyceride, peg-11 methyl ether dimethcone, dimethicone, narcissus tazetta bulb extract, trifolium pratense (clover) flower extract, sodium hyaluronate, tocopheryl acetate, caprylyl methicone, caprylyl glycol, ethylhexyl palmitate, peg-40 hydrogenated castor oil, sodium pca, trehalose, urea, hydrolyzed soy protein, lecithin, palmitoyl tetrapeptide-7, peg/ppg-18/18 dimethicone, peg-8 laurate, steareth-20, trideceth-6, trideceth-9, sodium dodecylbenzenesulfonate, polyquaternium-51, styrene/acrylates copolymer, hexylene glycol, acrylates/c10-30 alkyl acrylate crosspolymer, hydroxyethylcellulose, sodium polyacrylate, xanthan gum, nylon-12, triethanolamine, disodium edta, cyclopentasiloxane, silica dimethyl silylate, parfum/fragrance, butylphenyl methylpropional, citronellol, limonene, linalool, benzoic acid, methylparaben, phenoxyethanol, potassium sorbate, chlorhexidine digluconate, chlorphenesin, o-cymen-5-ol, mica, titanium dioxide.